Arrogate, the North American earnings champion with something to prove at Del Mar, will get a chance to do just that this Saturday when he heads a field of eight horses in the $1-million TVG Pacific Classic. The gray by Unbridled’s Song was assigned Post 8 at a special “Draw Party” Tuesday evening at the popular Brigantine restaurant on the high ground overlooking the seaside oval and once again will be handled by his Hall of Fame partner, Mike Smith. The mile and a quarter crucible, which will reward its winner with a prize of $600,000, will go off at approximately 5:40 p.m. PDT as the eightth race on an 11-race card. NBCSN will televise the Grade I headliner nationally. The Juddmonte Farms colt was installed as the even-money favorite by Del Mar linemaker Russ Hudak, a substantially longer price than the 1-5 morning line he started with in the TVG San Diego Handicap here July 22. He’s also likely to finish quite a bit longer than the 1-20 odds he broke from the gate with in that mile and one-sixteenth test. The real question, though, is will he make up for a case of what subsequently proved to be disappointment of the highest order? Going into the San Diego, Arrogate had a record of seven wins from eight starts with a bankroll that registered over $17-million, more than any other North American horse in history. But in the San Diego he managed to – in the words of his Hall of Fame trainer, Bob Baffert – “lay an egg.” The husky 4-year-old never got in gear that afternoon and finished a disappointing fourth. But his connections feel he has put that “no go” behind him and is back “to his old self” after a series of steady works since. He’ll pack 124 pounds – as will all runners in the race with the exception of the 3-year-old Sorry Erik, who gets 118 – trying to show the racing world that he’s back and that his “Horse of the World” crown still fits nicely on his classy head. Set to take him on are the colt who beat him in the TVG San Diego, Hronis Racing’s Accelerate, along with another Hronis runner, Hard Aces; R3 Racing, Calara Farms and ERJ Racing’s Curlin Road, Reddam Racing’s Donworth, Tachycardia Stables and Twilight Racing’s Royal Albert Hall, Big Chief Racing’s Sorry Erik and Speedway Stable’s Collected. The last-named runner, a galloping winner of the Precisionist Stakes at Santa Anita in his last start, also hails from the Bob Baffert barn. 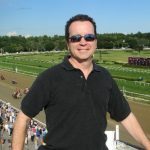 The TVG Pacific Classic will draw top billing on a deep card that also will feature two other Graded stakes – the Grade I Del Mar Oaks and the Grade II Del Mar Handicap, the former run at nine furlongs on grass for a $300,000 purse and the latter marked in at 11 furlongs on the lawn for a $250,000 pot. Both the TVG Pacific Classic and the Del Mar Handicap are Breeders’ Cup “Win and You’re In” races, guaranteeing their winners admission into designated Breeders’ Cup races. The former gets its hero a free ticket into the $6-million Breeders’ Cup Classic, while the latter ensures admission into the $4-million Breeders’ Cup Turf. 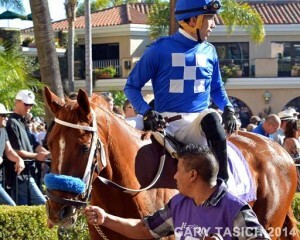 Both will be run at Del Mar on Saturday, November 4 as part of the two-day, 13-race extravaganza that will be held at the shore track for the first time this fall. First post Saturday for the chock full card is 2 p.m. PDT.